Is it really that important to have a mobile app added to the marketing strategy of your small business? Unless you have been living completely off the grid in a remote world cut off from technology, by now you should know that the next step to moving your website into the big leagues and up the rankings is to add a mobile app to your services! One of the myths to clear up right now about mobile apps is that most people believe that they are only meant for banks and big brands of every description! This is definitely not the case. Mobile apps are perfect for small to medium businesses working at gaining recognition in the online world of business, turning a mobile app into yet another powerful marketing tool for success. More and smaller to medium businesses are making sure that they have a mobile app that makes access to their products or services easy from wherever users are, at any time of the day. A mobile app adds to a truly successful and focussed mobile strategy that goes hand in hand with a mobile-friendly website. A mobile app is just another tool to add to your quest for success online, and even if the bulk of usage of your app is only a small addition to your mobile marketing strategy, the fact is that every time users unlock, scroll through and scan their device, your mobile app icon will have a subliminal impact on users as they see it over and over again. Here’s a statistic that should have you reaching out to the exceptional, experienced and passionate team of mobile app developers at Netgen almost instantaneously; South Africa has 20 million internet users according to stats from Forbes, and…..wait for it…..over 40% are using their mobile devices for at least three hours a day! Adding a mobile app to your arsenal of tools for success in a predominantly mobile world gives you the opportunity to provide customers with news feeds, user accounts, loyalty programs and more. Mobile apps also serve as the perfect mobile platform for sharing news about sales, competitions and promotions right at the fingertips of your customers! Netgen has been involved in the successful design of mobile apps for many customers in South Africa since 2000, and with this level of experience you can rely on in a technologically-driven age, you can be absolutely sure that any mobile app that comes out of this solid I.T. solutions company will exceed your expectations. 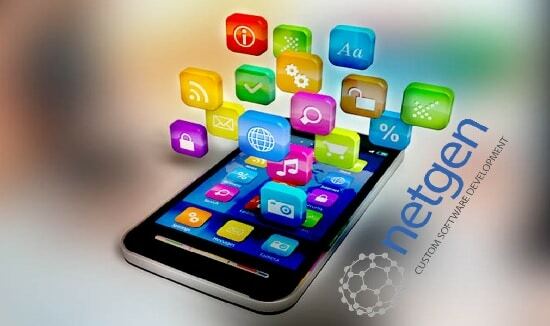 With a team comprised of project managers, website developers, custom software developers and mobile app developers, Netgen has the knowledge and experience to grow brand recognition, create an interactive direct marketing channel and encourage customer loyalty via a mobile app! No matter what you are selling or how small your business is, maintaining contact with your customers via a mobile app will be the next great investment to add to a mobile-friendly website in order to create an online presence that cannot be ignored. Now would be the best time to get going on the development of your mobile app with the friendly down-to-earth team at Netgen. Based on the rapid growth of mobile usage in South Africa, having a mobile app will become standard practice for any business in the future. The decisions you make about the quality of your website and the addition of a mobile app will lay a solid foundation that will keep you ahead of the competition as you pave the way to success. With the challenges faced by businesses in a tough economic landscape, can you really afford to ignore the writing on the wall that will see mobile apps playing a fundamental role in the foundation of a successful future? Contact Netgen today and be the first in your business sector to put your brand into the hands of millions of mobile phone users every day via a quality, fast and secure mobile app. Previous PostLooking for web design, custom software, marketing solutions or mobile apps in South Africa?